There are basically two kinds of cornbread, sweet or savory. Being a South Carolina girl I was raised on the traditional, southern-style unsweetened type. 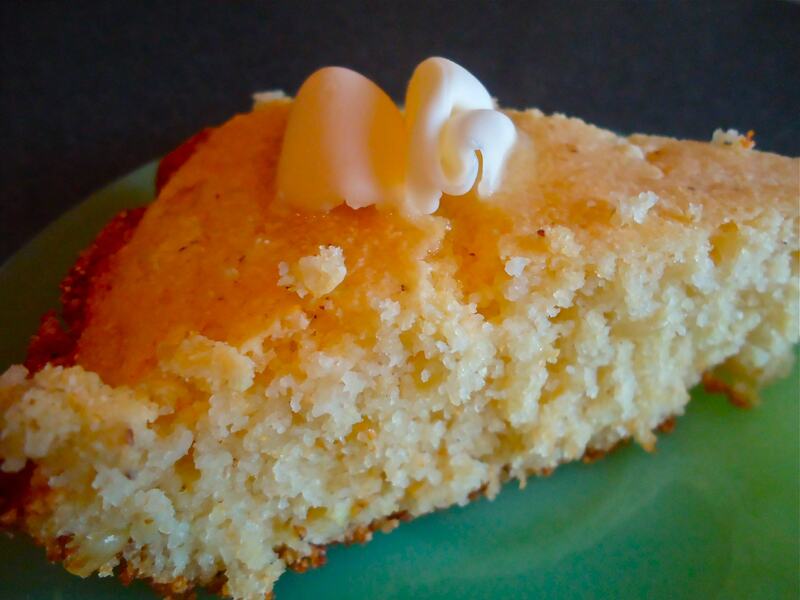 My mother made cornbread and corn muffins quite often especially in the fall and winter. Or if she was making certain other dishes like her wonderful vegetable soup or catfish stew or hoppin’ john – there must be cornbread being baked to soak up all that good stuff in the botttom of the bowl. I love my cornbread with a heaping helping of homemade, spicy chili or better yet, a brimming bowl of seafood gumbo. 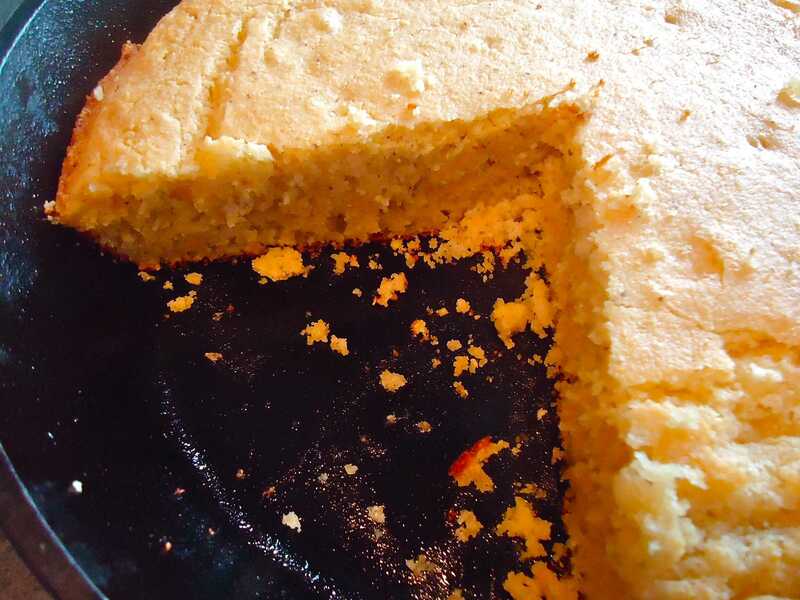 I don’t think I ever tasted sweet cornbread until I was in college. I remember thinking that’s pretty good, but… “Shouldn’t it be served at breakfast?” It was so much like a bakery muffin I was hoping for a cup of coffee to go with it. After conferring with my mama once again, I challenged myself to yet another round of cornbread disappointment but, lo and behold, this go ‘round came up with a winner. It’s moist and light with a soft crumb but also a nice crunchy crust around the outside. This is thanks to my mother’s special hot grease technique – genius! Yes, it’s still savory – no sugar – but I add in corn cut off the cob for extra texture – some nice folks dropped some fresh, local corn off at the husband’s office this week – yahoo! Yes, this recipe does call for rendered pork drippings but with only 1 egg, no sugar and healthy canola/olive oil, I think that the insalubrious factor, i.e. bacon/jowl grease, is canceled out. I’d like to think that anyway, because the flavor it adds, along with the fresh corn and tangy buttermilk, make this recipe g-o-o-d. Ingredients for some good cornbread. Notice the “smart balance” oil … and also the sliced “hog jowl”, much like fatty bacon. Also the black cast iron skillet – well seasoned and it’s only about 20 years old…ha-ha! Whisk the buttermilk into the egg. I used “full strength” buttermilk but light or low fat will work just as well. 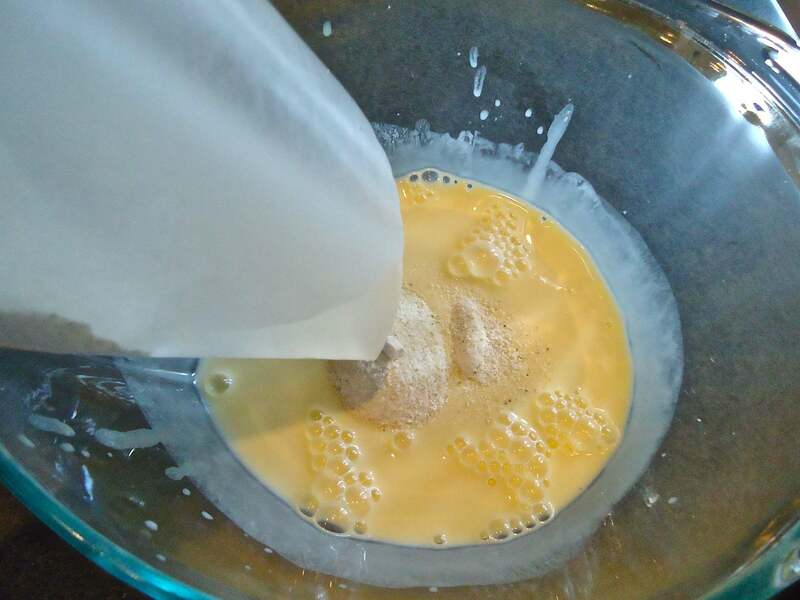 Add the dry ingredients to the egg/buttermilk mixture. 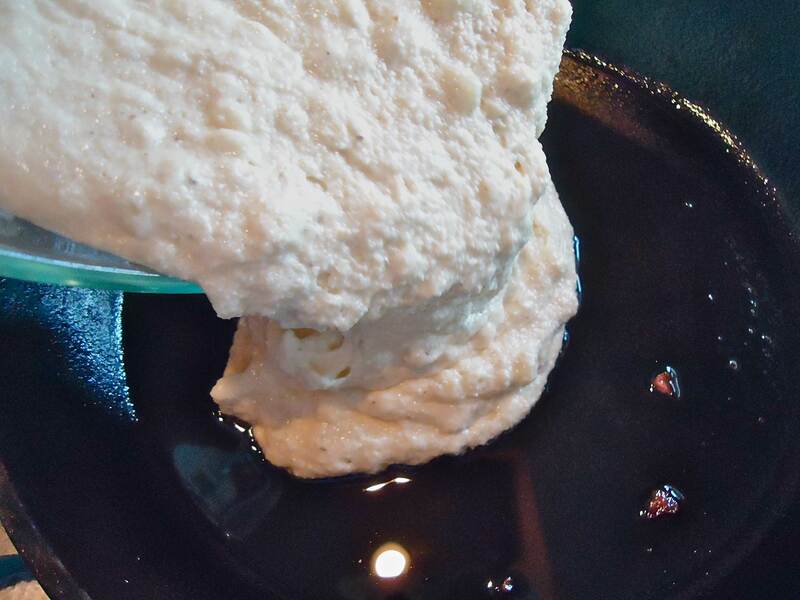 Add the oil mixture (oil plus leftover pork grease) to the batter. 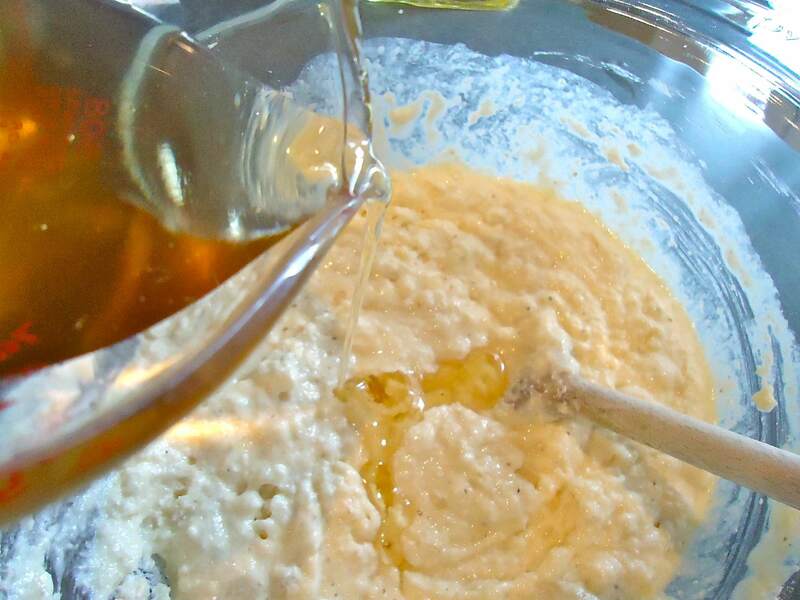 The grease/oil should be room temperature so the egg in the batter will be safe from ‘cooking’. After a good stir, add the corn kernels and a few cracks of fresh pepper and you’re ready for the hot skillet. The hot skillet may sizzle when you add the batter and it will most likely start to curl and cook around the edges, like its doing here. That’s a good thing. 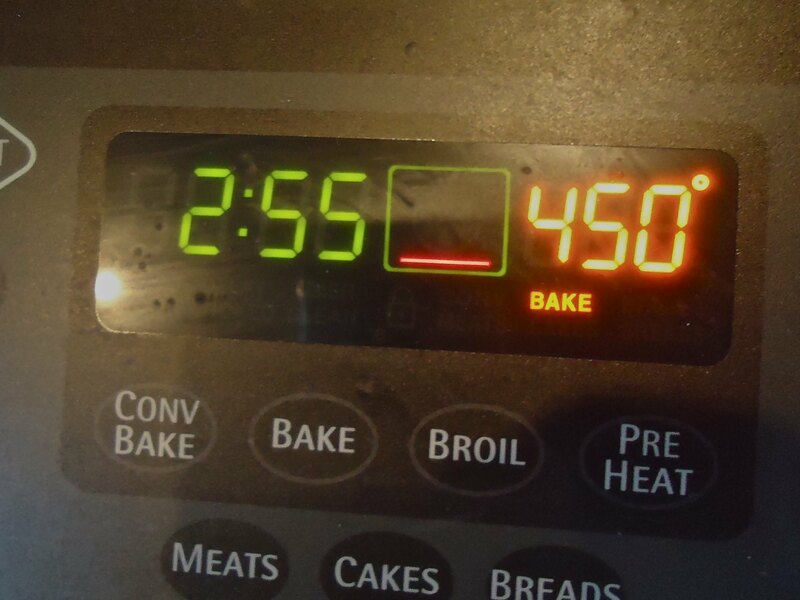 Bake in a HOT oven (450 degrees) for 5 or 6 minutes and then reduce the temp to 425 for another 14 or 15 minutes. Do not over bake. Out of the oven…looks good, smells great! We have a winner! 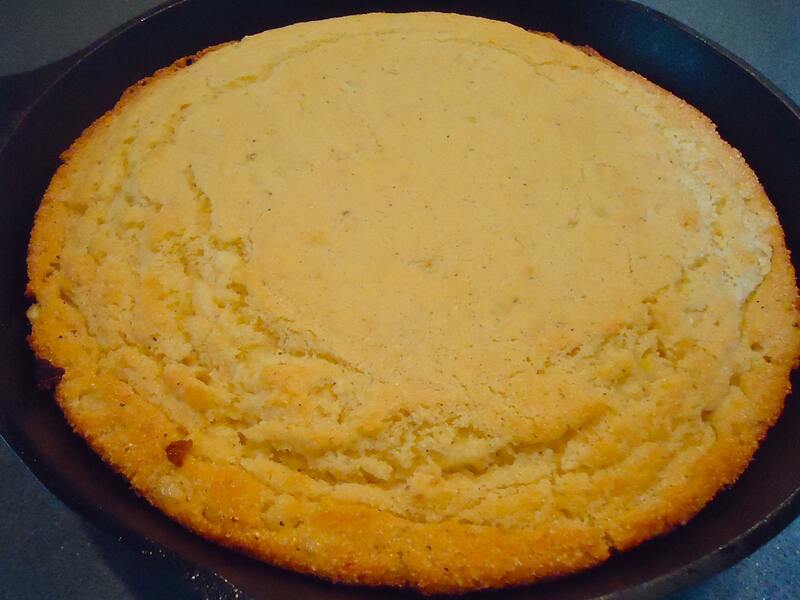 Finally a cornbread worthy of my cast iron skillet! 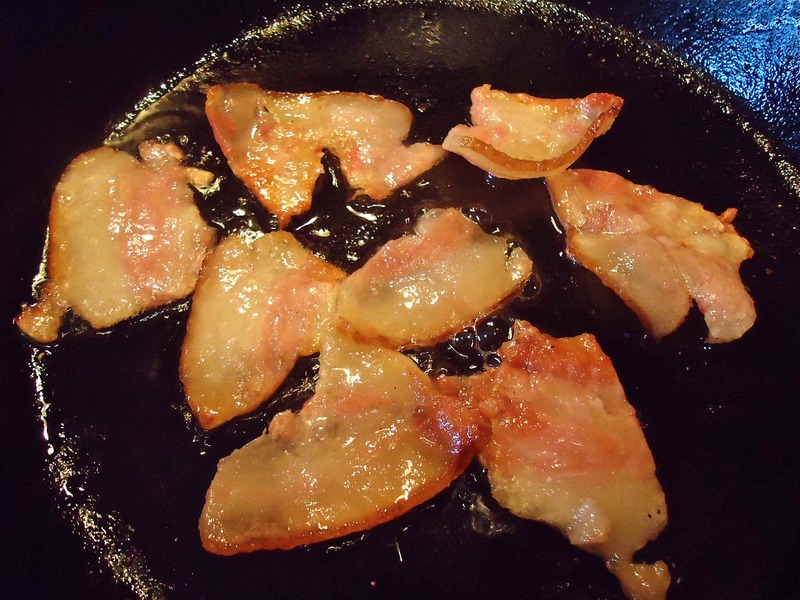 In a heavy ovenproof skillet – preferably cast iron – cook the bacon or hog jowls on medium high heat until the fat is rendered. Remove the meat and pour the remaining grease into a heatproof measuring cup. Add enough vegetable oil to make just under ½ cup. Preheat oven to 450 degrees. 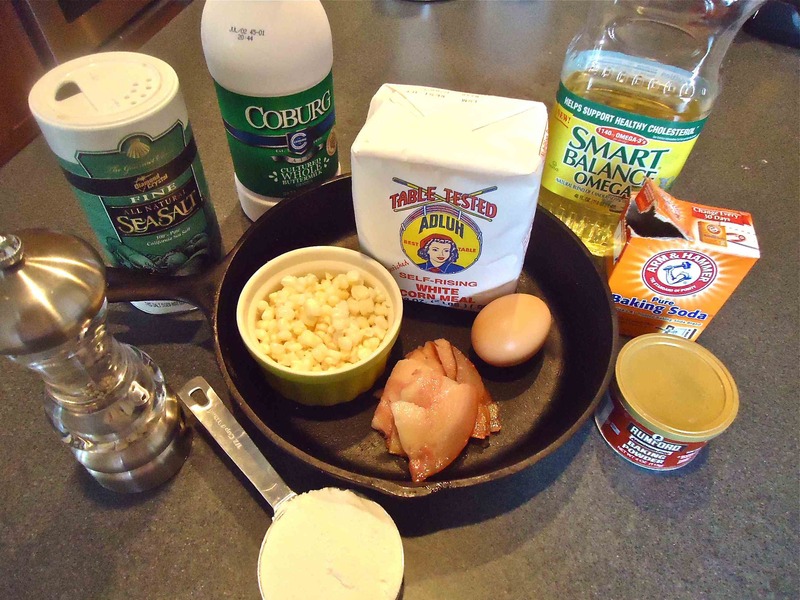 In a bowl or piece of wax paper stir together the corn meal, flour, baking powder, baking soda and salt. Set aside. 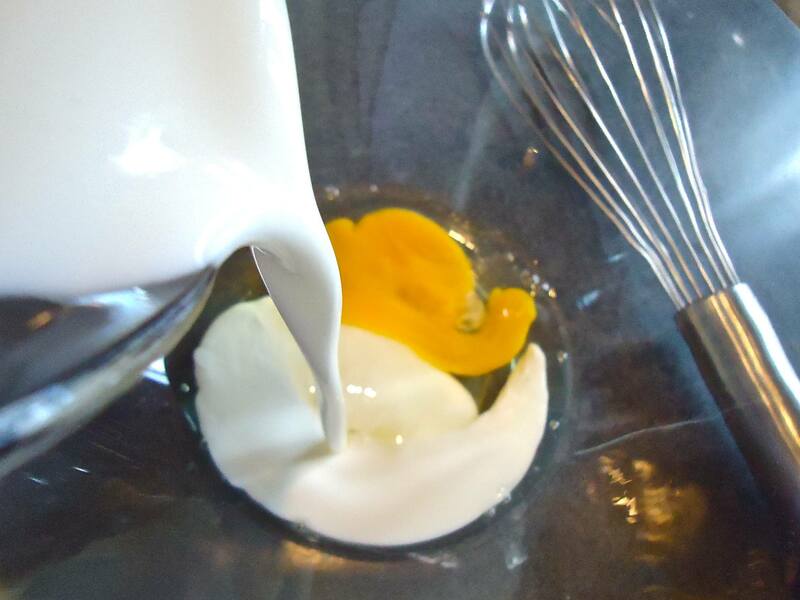 In a large mixing bowl whisk the egg with the buttermilk until well combined. Add 3 tablespoons of the grease/oil mixture back to the skillet and place the skillet in the preheated oven. Complete the next tasks post haste. The oil/grease in the skillet is heating but you do not want it to smoke or worse, burn so work rather quickly. Add the flour/cornmeal mixture to the buttermilk/egg mixture. Stir in the remaining oil mixture and then the corn. Add a few cracks of fresh pepper and stir again. 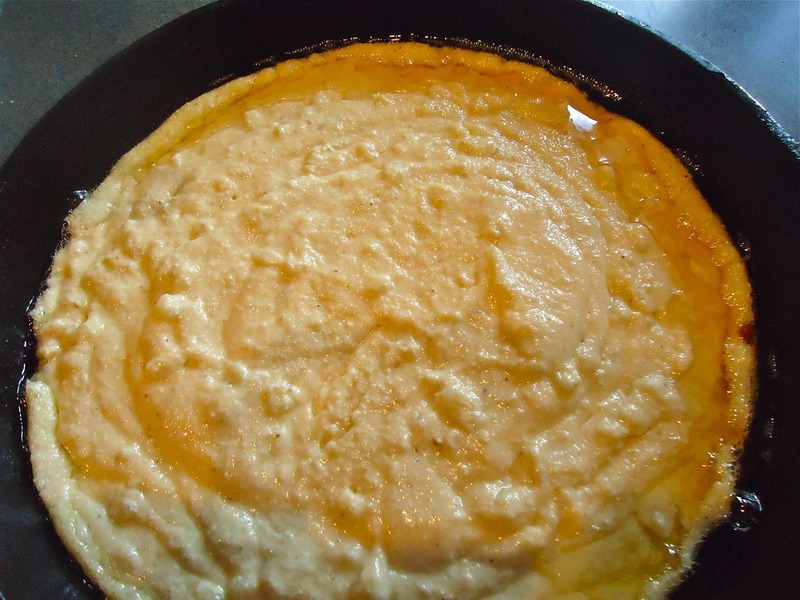 Carefully remove the hot skillet form the oven and pour the batter into the hot oil. Place the hot skillet back in the oven and bake 5-6 minutes. Then reduce the oven temperature to 425 degrees and bake an additional 14-15 minutes until the cornbread is baked through. Do not overcook. Cool on a rack for a minute, slice, and serve. 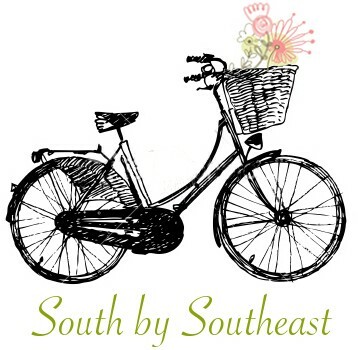 This entry was posted in Recipes and tagged classic southern recipes, cornbread, fresh corn, hog jowls, quick breads, savory cornbread. Bookmark the permalink.